Coming from a family of Italian-American stereotypes, one of my all time summer favorites is the classic antipasto, bruschetta, a bunch of little toasted bread pieces with tomatoes and basil on top. Bruschetta salad is interesting because of the misconceptions about it. First off, despite what you think you know about speaking other languages bruschetta is in fact pronounced “broo-sketta” with a hard C sound. Not a shh. Also it doesn’t start with a P or end with an A, and it doesn’t make you more Italian or cool to say “HEY HAVE SOME PROO-SHETT”. The second big misconception about it is that bruschetta, semantically, technically, refers to the little toast pieces that we serve with the tomato salad. That mixture of tomatoes on it is not the bruschetta, a mistake I even made until fairly recently. If you wanna be truly faithful, the stuff on top is just “tomato salad” but that’s kinda ambiguous, so I like to refer to it alongside its namesake sidekick. Chop tomatoes into small cubes, approximately 1/2″ wide. Add them into a bowl. Add garlic into tomatoes and then stir in olive oil and mix until tomatoes are evenly coated with oil. After this, add in balsamic vinegar and repeat. 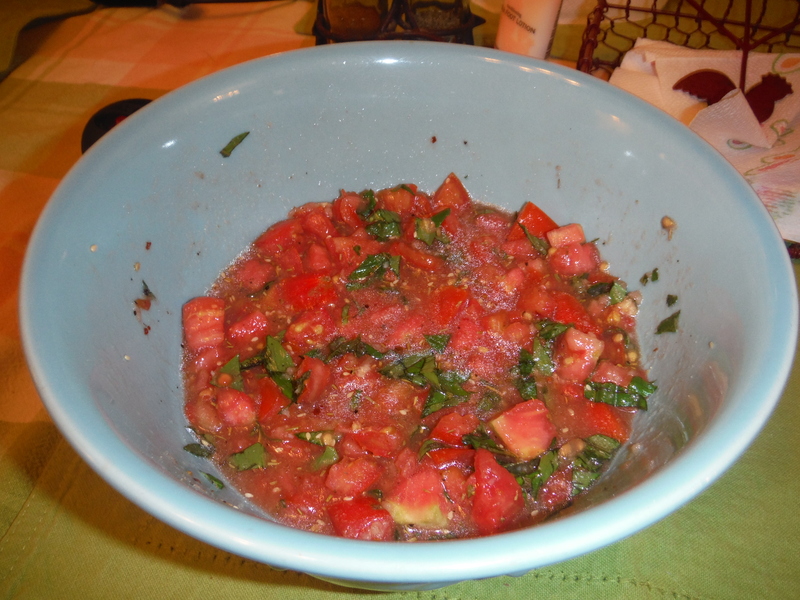 Chop basil into semi-fine strips or pieces and stir into tomato mixture. Lastly, add in Tuscan seasoning, salt and pepper to taste. A good estimate is approximately 1 tsp each. Stir tomato salad thoroughly until it is well-blended. Serve cold and fresh on top of bruschetta toasts, chicken, or as a salsa! 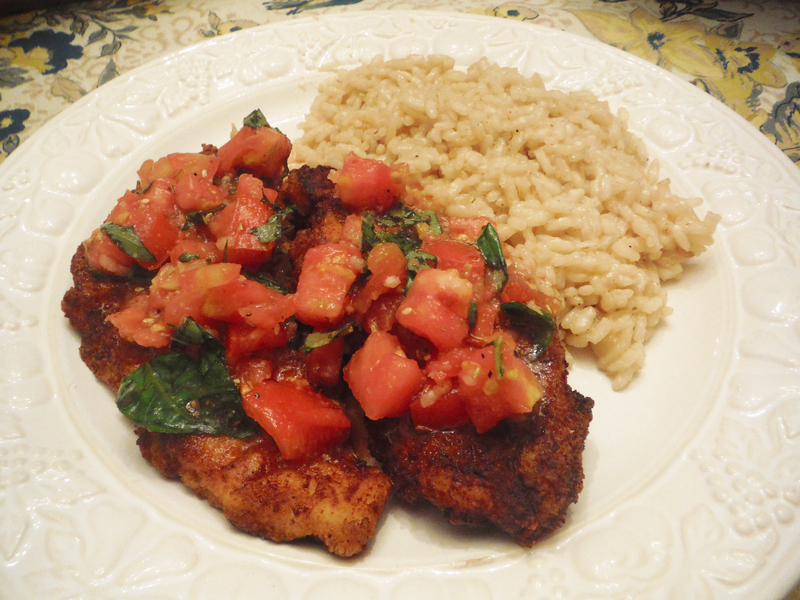 Posted on August 13, 2014, in Etcetera and tagged awesome, easy, gluten-free, healthy, recipes, vegetarian, veggies, yummy. Bookmark the permalink. Leave a comment.